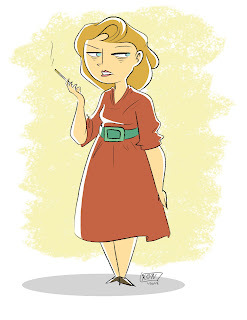 A quick warm-up I drew of a woman from the 1940s while listening to the song "New York City" by Among Savages. I'm still experimenting drawing in a more "retro" style. :) Enjoy!